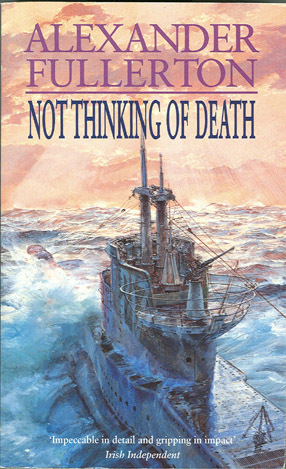 “NOT THINKING Of DEATH” By Alexander Fullerton. 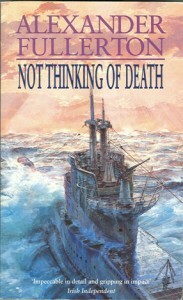 (Fiction) Based loosely on historical facts, the tragic loss of the H.H. Submarine Thetis in Liverpool Bay in 1939. Following a British submarine crew as they take their first dive in the open sea during the opening stages of World War II. As the shadow of Nazism descends on Europe, and Britain at last begins to prepare her defenses, trials for the first of a new class of submarine are taking place in the mouth of the Clyde. Royal Navy submariner Rufus Chalk, on board as an observer, has one or two misgivings. There are certain technical problems, small enough in themselves, but collectively dangerous. And on this first dive in the open sea, with twice the boat’s normal number on board; shipbuilders’ representatives, and technicians as well as naval observers like Chalk, the precious air supply would last only half as long if there was an accident. Paperback edition. 410 pages, no photos, maps or index.